The Internship program at Carlisle Academy is created for high school students, college students, recent graduates, or individuals exploring the field of equine assisted activities and therapies. 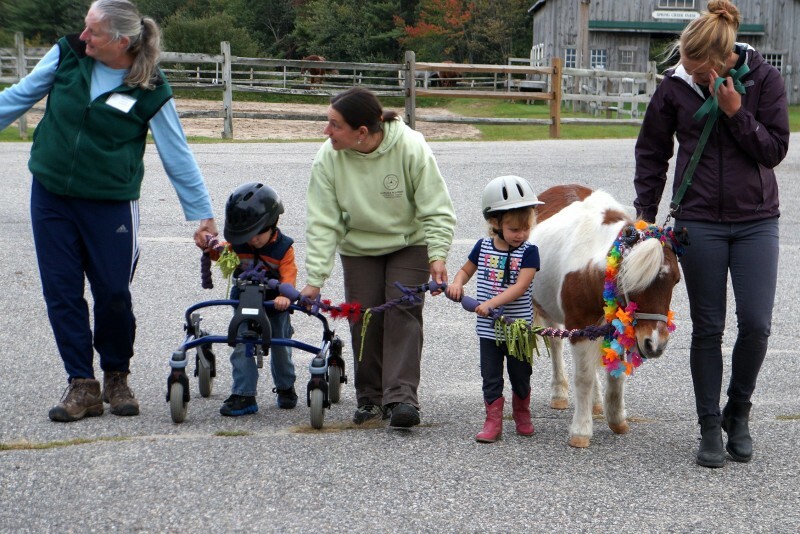 These interns undergo supervised practical training in the areas of physical and occupational therapy, health and human services, or exposure to therapeutic riding. These internships may be eligible for university or high school credits. All clinical and educational internships are fee-based programs with a tuition associated with each type, as well as prerequisites and an application/interview process. Internships are available April – June and September – December. Our Level I internships are available for both MOTS and OTA students. The Level I internship is typically a week long experience is designed to provide students with introduction to clinical observation, treatment techniques and exposure to people through the age continuum. This internship is non-tuition based and all interns are required to complete our 2 hour Side Walker training module. Reflective journaling, designed to stimulate critical thinking and problem solving, is a part of the experience. Our Level II Occupational Therapy internship is a 12 week immersion into Occupational Therapy in our outpatient clinic. Site specific learning objectives have been developed to support the student’s transition to the next phase of education or career. This is an intensive experience and is ideal as a 2/2 field placement. Students do not have to have equine experience and a riding lesson is included in the internship to help the intern develop a comprehensive understanding of equine movement and its impact on human development and function. Interns will have an opportunity to work with children as young as 24 months old through adulthood and have experience in working with people with a variety of social, emotional, developmental and acquired conditions. Students will develop competencies and understand human to animal bond and its impact on human behavior, appreciate the biomechanics of equine movement and its impact on human biomechanics and function. Our internship for undergraduate students is can provide focused study on the physical and emotional impact equines have on human. This internship, generally a springboard for post-graduate employment or education will assist the intern with pinpointing a clear post-graduate education and/or professional development plan. This internship provides the student with an introduction of equine to human work and provides a direction for post graduate study in health care professions. A weekly riding lesson is also included in this internship and this can be a part or full time experience. Juniors or seniors (honors students) in high school can apply for admission to this program. 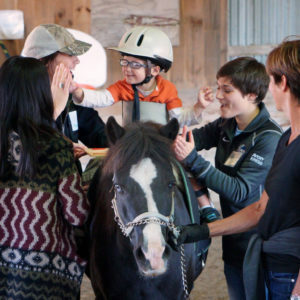 Designed as an entry-level experience this 10 hours/per week internship introduces students to health science, the equine therapy industry, effective communication by members of a work team and can serves to provide them with support for college or job applications. Carlisle Academy is pleased to offer a Stable Management Course to equine enthusiasts interested in becoming a stable manager at an active lesson barn. Daily mentored work on the farm includes lesson assistant, stable and horse management, and horse care and safety. Each week consists of 40 hours on the farm which include classroom lecture, practical experience, shadowing of staff, independent study, and mounted lessons from a Carlisle Academy instructor. There is an 8-week option during the Winter & Summer Sessions, and a 40-week option from Feb-Dec, following Carlisle’s season-long calendar. The 40-week program incorporates a work-exchange and the Horse Handling Training Course.